While the crisis facing Croatia's giant retailer remains in the focus of attention, the disastrous potential effects of this crisis on Agrokor's suppliers have mostly been ignored. Read more. As the Hungarian government tightens the noose around the CEU, current or former CEU students from Balkan countries have joined the international outcry. Read more. Aleksansdar Vucic’s announcement of possible snap elections has divided his opponents, with some welcoming a fresh contest and others saying a vote held in unfair conditions would be pointless. Read more. Albania’s General Prosecutor’s Office announced on Tuesday that it has opened an investigation against Socialist Party MP Alfred Peza and his wife Mirela Ndini over the latter’s purchase of 1 per cent of shares in the private Credins Bank at a cost of just over 1 million euros. The Prosecutor’s Office says it has doubts over the legitimacy of the purchase as the couple has not been able to provide sufficient evidence of where they accumulated the money to buy the shares from. The Serbian authorities began excavations at a suspected mass grave for Kosovo war victims in the area of Raska, western Serbia, on Tuesday. The head of the Kosovo government’s missing persons commission, Prenk Gjetaj, who confirmed the news for Klan Kosova TV, said that this is the fifth time that excavations will take place at Kizevac in Raska. He added that according to the information he received from Serb authorities, this will be final excavation. The area was first probed in 2010, after the Serbian war crimes prosecution, in cooperation with the EU rule-of-law mission in Kosovo, EULEX, announced that there could be a mass grave in Raska containing the bodies of at least 250 Albanians. Since then, dozens of bodies, believed to be Kosovo Albanians, have been found in the area. The Croat member of Bosnia's tripartite presidency, Dragan Covic, said Croat representatives would “within the next 5-6 days” put forward their proposal for a new election law in Parliament, along with a set of other laws intended for all government levels, including reform of the public broadcaster to include a Croat-speaking channel. The Alliance of Independent Social Democrats, SNSD, the ruling party in Bosnia’s Serb-dominated Republika Srpska entity, has sent an initiative to the Serb Democratic Party, SDS, to join them in calls for a vote of no-confidence against the state-level Council of Ministers. The SDS is part of the Alliance for Changes, a coalition of Serb parties in power at Bosnia's state level with other Bosniak and Croat parties. The arbitration court in Geneva rejected Croatia's appeal regarding its case against the Hungarian energy company MOL over management rights of Croatia's energy company INA, which is co-owned by the two. After the court ruled in MOL's favour in late December, Croatia launched an appeal in February. Before it filed the appeal, the Croatian government announced that it will start the process of buying back MOL's share in INA. Serbia’s outgoing Prime Minister Aleksandar Vucic won the presidential election on April 2 with 55.08 per cent of the vote, the Republic Electoral Commission announced on Monday after completing the vote counting - including a recount at three polling stations. Former Ombudsman Sasa Jankovic came in second place with 16.36 per cent of the vote, followed by Ljubisa Preletacevic Beli, the satirical character played by Luka Maksimovic, who won 9.43 per cent of the vote. Former candidate for the post of UN Secretary General, Vuk Jeremic, finished fourth with 5.66 per cent support, followed by the leader of the nationalist Serbian Radical Party, Vojislav Seselj, with 4.48 per cent. The leader of the right-wing movement Dveri Bosko Obradovic earned 2.29 per cent, while Sasa Radulovic, the head of the “Enough is Enough” movement, received 1.41 per cent. With less than two per cent of votes are the Cajetina municipality chief Milan Stamatovic (1.15 per cent), the leader of the League of Social Democrats of Vojvodina, LSV, Nenad Canak (1.12 per cent), Democratic Party of Serbia leader Aleksandar Popovic (1.04 per cent) and Miroslav Parovic from the right-wing Treca Srbija party (0.32 per cent). The latest results come after voting was repeated at three polling stations on Easter Monday after voters complained of alleged irregularities. Vucic, who was the candidate of the ruling Serbian Progressive Party, also won the recount at all three polling stations with 76.74 per cent of those votes. The final results of the election will be published in the next three days. In an interview for Politico Europe, the Albanian Prime Minister, Edi Rama, said that if the doors of Europe are closed to the Western Balkans, small unions may emerge, such as the unification of Albania with Kosovo. However, Rama stressed that this type of union is not what he wishes for, but if the EU fails to integrate the Balkans, anything can happen. "The only way to keep the Balkans in this peaceful and cooperative mode… is to keep the path to the EU open... No one would like to turn [in] on themselves and look for smaller unions, everyone would like to unite in the big union. But if there’s no hope, no perspective, no space, then, of course, little unions may happen," he said. Romanian towns and villages will be left without doctors within the next 10 years, the Family Doctors Association warned on Monday. The high rate of migration of medical personnel to Western Europe, where they find better salaries and working conditions, but also the recent move by the Ministry of Labour to gradually raise hospital doctors’ salaries by 2021, will probably lead to fewer physicians choosing to work in the countryside for a 700-euro salary, doctors warned. Most family doctors working in towns and villages, away from the big cities, are older and when they retire there will be few young doctors to replace them, according to Dr Rodica Tanasescu, the head of the association. At the moment, she says, there are 500 towns and villages with no doctor to tend to patients and vaccinate children, specifically at a time when Romania has been facing a measles epidemic over the past few months. According to official statistics, 2,000 doctors leave Romania every year, leaving the healthcare system with serious shortages. The regional prosecution in the southern Bulgaria town of Parvomay has launched a probe over reports that uranium has been found in the drinking water in several areas of the town and nearby villages, the prosecutor’s office announced on Tuesday. 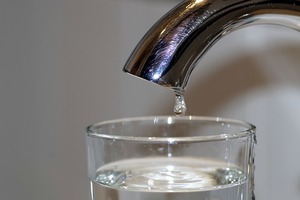 The news about the alleged contaminated water in Parvomay comes days after the regional authorities in the southeast Bulgarian city of Haskovo advised citizens not to drink or cook with tap water due to high levels of uranium having been detected. 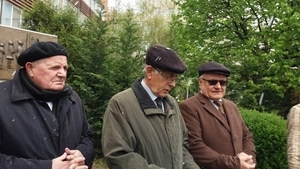 Meanwhile, Haskovo citizens have launched a petition, demanding medical examinations from the city’s authorities, which they will send to Bulgaria’s Ombudsman, Maya Manolova. Serbia's Trade Minister on Wednesday will host a joint meeting with trade ministers from Slovenia, Bosnia and Montenegro on the Agrokor crisis - but apparently without a Croatian representative. Read more. As the former Russian ally moves closer to joining NATO, the Moscow media have suddenly decided the country is riddled with decay, crime and corruption. Read more. The West will live to regret putting its faith in Aleksandar Vucic as the great ‘factor of stability’ in the Balkans. Read the full comment. Croatia’s State Property Minister, Goran Maric, told national broadcaster Croatian Radio 1 on Wednesday that all "harmful contracts" between the troubled private company Agrokor and its subsidiaries must be nullified. He explained that these contracts are harmful to the subsidiaries because they were paying out millions to Agrokor. Last week, the government named Ante Ramljak - an experienced figure - to be the extraordinary manager of Agrokor, a position outlined under the new Law on Procedures for Extraordinary Management in Companies of Systematic Significance for the Republic of Croatia, which was adopted in parliament in early April. Croatia’s Association of Taxpayers, “Lipa', gathered 20,000 signatures in a single day on their online petition against the government’s announced property tax law. Lipa strongly opposes the announced law, calling it unjust and claiming that many properties will soon be put on the market, because its present owners will not be able to pay the taxes. The assocaition said that this will cause a drop in property prices and lower the overall level of citizens' wealth. The 240 MEPs from Bulgaria’s 44th National Assembly were sworn into the new parliament as its opening session on Wednesday. The MPs elected Dimitar Glavchev from the leading center-right party GERB as President of the Parliament, and five Vice-Presidents from each of the five parties represented in the National Assembly: GERB, the Bulgarian Socialist Party, BSP, the nationalistic United Patriots coalition, the ethnic-Turkish dominated Movement for Rights and Freedoms, and the Volya party of the populist businessman Veselin Mareshki. The International Monetary Fund, IMF, said it expects Montenegro’s economy to expand by a real 3.3 per cent in 2017, down from its October forecast of 3.6 per cent growth. SeeNews reported that the gross domestic product, GDP, of Montenegro is expected to grow by a real 3.4 per cent in 2018 and by 3.1 per cent in 2022, the IMF said in the April edition of its World Economic Outlook report. In 2016, Montenegro's economy expanded by 2.4 per cent. 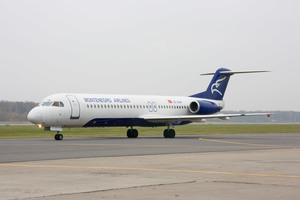 Montenegro Airlines has said it still intends to operate a series of charter flights to the Iranian capital Tehran this summer season, as previously announced, but is awaiting regulatory approval, Ex-Yu Aviation portal reported. Necessary documents have been filed with Iranian authorities. The service between Podgorica and Tehran would operate once per week. Montenegro Airlines has reached a partnership agreement with tour operator VSP Kish from Tehran and has signed on for a series of charter flights between Podgorica and Tehran. The trade ministers of Serbia, Bosnia, Montenegro and Slovenia have agreed to form a joint team today in order to exchange information and undertake shared activities to preserve jobs, the interests of suppliers and the stable operating of companies owned by Croatia’s troubled Agrokor, Serbia’s Ministry of Trade announced on Wednesday, following a meeting between the four ministers. According to the press release, the ministers all agreed on implementing control of financial and goods flows of Agrokor's companies, in accordance with the law. It added that the ministers are expecting that the new manager of Agrokor will appoint independent experts for the successful restructuring of the companies, and to treat all suppliers equally, "both in Croatia and outside Croatia". The four ministers expressed their readiness for talks with representatives of the Croatian Government, so joint solutions for the stabilisation of the whole Agrokor group could be found. The Serbian Democratic Party, SDS, which is part a coalition of Serb parties in power at Bosnia's state level, alongside other Bosniak and Croat parties, has rejected a call by the Alliance of Independent Social Democrats, SNSD, to join them in a vote of no-confidence against the state-level Council of Ministers. SDS ministers had complained about alleged irregularities regarding a recent phone session of the Council of Ministers, claiming it was illegal. The SNSD is the ruling party in Bosnia’s Serb-dominated Republika Srpska entity, and is generally in fierce opposition with the SDS. The party had, however, asked the SDS to join their initiative in order to show a unified stand from Republika Srpska towards the current Council of Ministers. 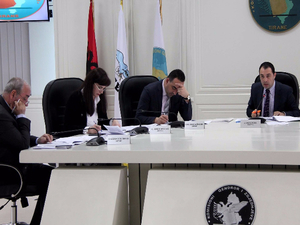 In an unprecedented move, the two main ruling parties in Albania, the Socialist Party and the Socialist Movement for Integration, asked the Central Election Commission on Wednesday to postpone the deadline for parties and coalitions to register for the next elections, scheduled for June 18. According to the letter the request was sent in, the party’s are asking for the deadline to be extended because of political crises and the fact that opposition parties are still protesting. No opposition parties had registered to participate in the election by the time the deadline arrived, with party registrations closing on 11 April, and coalitions today. The Central Election Commission will decide on the request on Thursday. Zagreb city assembly has awarded the maker of a controversial documentary on the Ustasa-run concentration camp at Jasenovac - despite claims that it sets out to downplay the crimes committed there during World War II. Read more. As daily anti-government protests resume, two students involved in these spontaneous events say the time has come to form a proper mechanism to coordinate the actions. Read more. Forget the Canaries. Some Italians pensioners have decided to spend their sunset years in the unlikely destination of Albania - drawn mainly by the low cost of living and the friendly locals. Read more. A staggering 39.2 per cent of Macedonia’s population are considering permanently leaving the country, according to a new opinion poll carried out by Telma TV and civic society organisation the Macedonian Center for International Cooperation, MCMS. Macedonia’s youth, categorised in the survey as people aged between 15-24 years of age, think most about permanent migration, with 61 per cent of them considering relocating abroad. Half of those who are thinking of leaving say that their reasons for wanting to do so are the country’s poor living standard and the better opportunities for employment abroad. The survey also notes that it is indicative that 15 per cent mentioned the current political crisis as another of the reasons for their desire to move abroad. 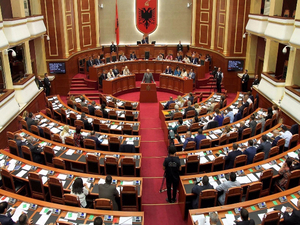 Albanian Parliament will resume the second round of electing the country’s new president on Thursday, despite no candidate having been put forward for the post, as was also the case in the first round. The majority in the Parliament has enough votes to be able to name a candidate, but Prime Minister Edi Rama, head of the ruling Socialist Party, and Ilir Meta, the leader of his junior coalition partner, the Socialist Movement for Integration, said that they will not do so until the opposition ends its boycott of parliament so that the next president can be elected with their consent. The opposition, which started its boycott on February 18, has not given any indication that it will return to parliament soon. The current situation in Montenegro is clearly unfavourable for Russian citizens, the Russian Foreign Ministry Spokesperson Maria Zakharova said on Thursday. Asked for a comment on the situation with Russian citizens in Montenegro in light of the recent developments there and a chill in Russian-Montenegrin relations, Zakharova said a dramatic decline in bilateral relations provoked by Podgorica, the upcoming accession of Montenegro to NATO and the Montenegrin authorities’ decision to join all the EU sanctions against Russia provide the backdrop for an upsurge in anti-Russia hysteria. "The general attitude to Russian business and Russians is becoming increasingly negative, and the ruling coalition is fostering a hostile attitude in Montenegrin society towards Russia and Russian citizens. In this situation, we cannot rule out the possibility of provocations, arrests of Russians on questionable charges and their extradition to other countries, primarily the United States," she said. 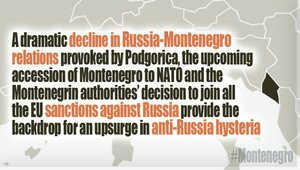 The rise in anti-Russia sentiments, which is not typical of Montenegrins, is the doing of the country’s political authorities. The recent decision by Podgorica to grant a 90-day visa-free entry to Russian citizens is a ploy that cannot hide changes in the attitude towards Russia that is being fostered to please the West. "We recommend that Russians take these circumstances into account," Zakharova said. Bosnia's House of Representatives has again refused to discuss a proposed set of laws, under urgent procedure, that would increase excise taxes on fuel – and clear the way for a much-needed tranche of IMF cash. The procedure does not allow lawmakers to propose amendments and changes to the proposed law, which were meant to be adopted at the beginning of April, an already extended deadline. The laws would raise the price of fuel by 0.15 Bosnian marks (0.08 euro cents) per litre – which will pose an unwelcome additional burden on farmers among other people. The additional income from increased fuel price would be invested into building roads and highways. Parliamentarians have, however, decided to discuss the law under regular procedure, to try and find a way to lessen the burden of the additional cost for citizens. The municipal council in the US city of Chicago has decided to name a street after one of Bulgaria’s most loved writers - Aleko Konstantinov, the American Bulgarian news portal BG Voice reported on Thursday. 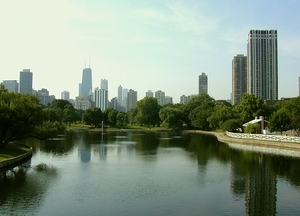 “Aleko Konstantinov Way”, which will be opened on May 7, is located in a historically important area for the Bulgarian community in Chicago, where many of the first immigrants from the Balkan country having moved there with inspiration from Konstantinov’s cult novel “To Chicago and Back”. The road will extend across several crossing on the city’s Irving Park Road to North Hamlin Avenue. Albania’s Central Electoral Commission decided on Thursday not to consider the request of the two main ruling parties, PM Edi Rama’s Socialists and the Socialist Movement for Integration, LSI, to postpone the date for the registration of parties and coalitions who want to participate in the June 18 election. The opposition parties had already missed the deadline set under the Electoral Code to lodge their registrations to participate in the polls, while the ruling parties missed the Wednesday deadline to register together as a coalition. The Socialists and LSI had sent a letter to the electoral commission on Wednesday asking for the registration deadline to be extended in order to help resolve the current political crisis in the country. However, the commission decided no to put the request to a vote, arguing that this issue was out of their jurisdiction. Judoka Majlinda Kelmendi, Kosovo’s first-ever Olympic gold medal winner, won her third European Judo Championship title in Warsaw on Thursday. The 25-year-old athlete earned the title in 2014 and 2016 as well, before heading to Rio last year, coming home as Olympic champion. Another judoka from Kosovo, Nora Gjakova, also claimed a medal at the European championship, securing a bronze in her class. A warrant for the arrest of Kosovo MP and former leader of the opposition Vetevendosje movement, Albin Kurti, has been issued by the Basic Court in Pristina, judge Beqir Kalludra said on Friday. The warrant comes after Kurti, one of four MPs from Vetevendosje accused of using teargas during Parliamentary sessions last year, failed to show up for his trial in the morning. Kalludra said at the hearing that he would issue the warrant for Kurti’s detention to secure his presence in court. The Serbian Electoral Commission adopted a report on Thursday evening on the final results of the April 2 presidential elections, confirming the victory of the candidate of the ruling coalition candidate, Serbian Prime Minister Aleksandar Vucic. The report was adopted at a meeting of the commission lasting several hours, with representatives of the ruling coalition voting in favour of the report’s adoption, and representatives of the opposition voting against it. A court in Moldova’s capital, Chisinau, sentenced Moldovan businessman and former MP Veaceslav Platon on Thursday to 18 years in prison for embezzlement and money laundering connected to the “billion dollar theft” - a bank fraud that has been keeping prosecutors in Chisinau busy for the past three years. The case concerns international aid and development money - equal to one eighth of Moldova’s GDP – that vanished from three Moldovan banks between 2012 and 2014. Platon was also ordered to pay the state 869 million lei (45.2 million US dollars) in damages which he siphoned off from Moldova’s Savings Bank, which subsequently went bankrupt. Platon denies wrongdoing, saying the case against him is politically motivated, and accused businessman and politician Vlad Plahotniuc of framing him to take his fortune. Platon, 44, was arrested in Ukraine and extradited o Moldova in August 2016. In a similar trial, former Moldovan PM Vlad Filat was also sentenced last year to nine years in jail for bank fraud and bribery. The Association of Kosovo Families of Missing Persons expressed disappointment on Friday about the Kosovo government’s failure to observe probes of a mass grave of suspected war victims near Raska in Serbia. The head of the association, Bajram Qerkini, said that Kosovo has not sent a forensics expert, despite the green light given by Serbia authorities. “We are very disappointed. Serbia has allowed a Kosovo forensics expert but the Kosovo government has not sent anyone,” Qerkini said as he laid a wreath at a memorial to missing persons in front of the Kosovo parliament building, during an event to mark Missing Persons Week. 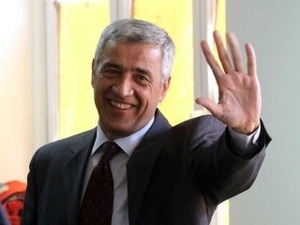 Kosovo Serb political party leader Oliver Ivanovic, who is awaiting retrial for alleged war crimes, has been released from house arrest, his lawyer told BIRN on Friday. “I can confirm that Oliver Ivanovic is released from house arrest,” lawyer Nebojsa Vlajic said. He added that Ivanovic must now appear twice a week at Mitrovica North police station. Ivanovic was convicted of war crimes for ordering the murder of ethnic Albanians in Mitrovica in 1999, when he was allegedly the leader of a paramilitary police unit, but the appeals court in Pristina decided in February to quash the verdict and retry him.